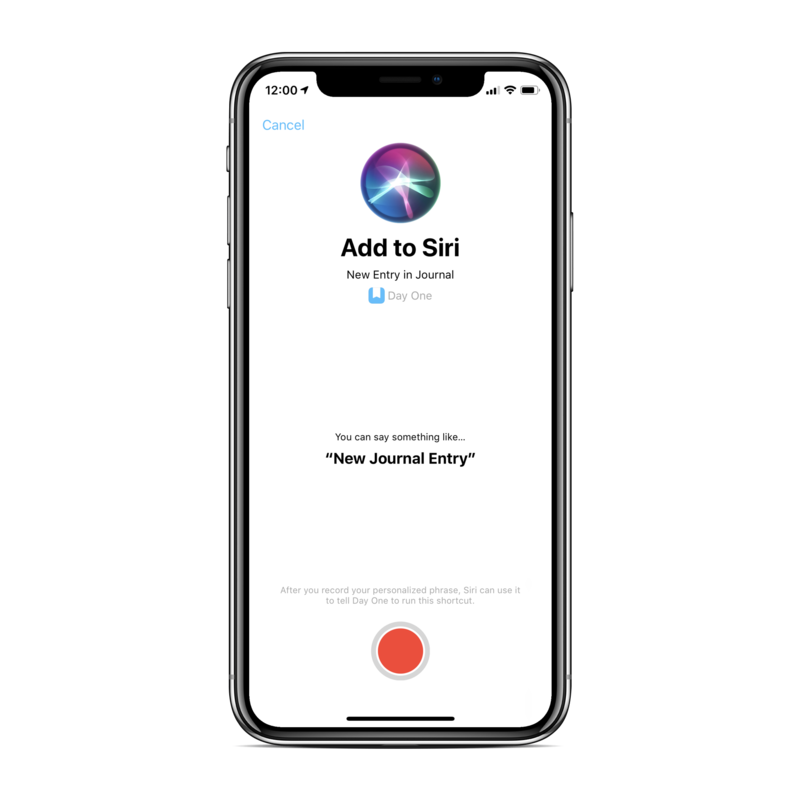 Starting in version 3.1 and with iOS 12, shortcuts can be added to Siri to perform tasks and actions in Day One. 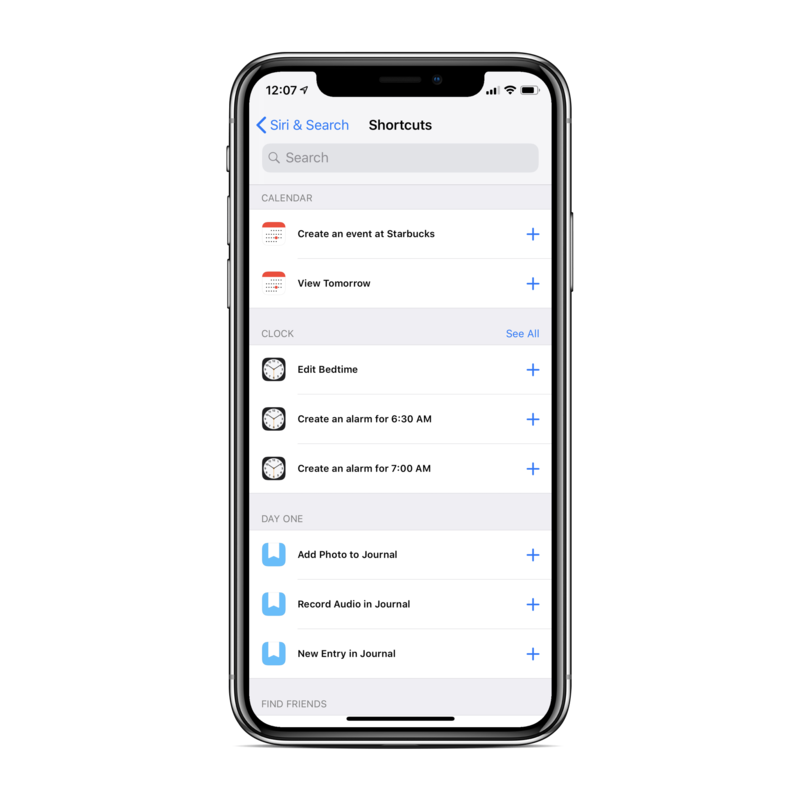 Go to Day One > Settings > Siri Shortcuts. You will see 3 options for each journal you have. Tap any option to record a specific phrase for the shortcut. There is a suggested phrase, but you can use your own wording. Once a shortcut is created, you will see your phrase. Tap the phrase again to record another. Custom shortcuts can be created for each journal you have. 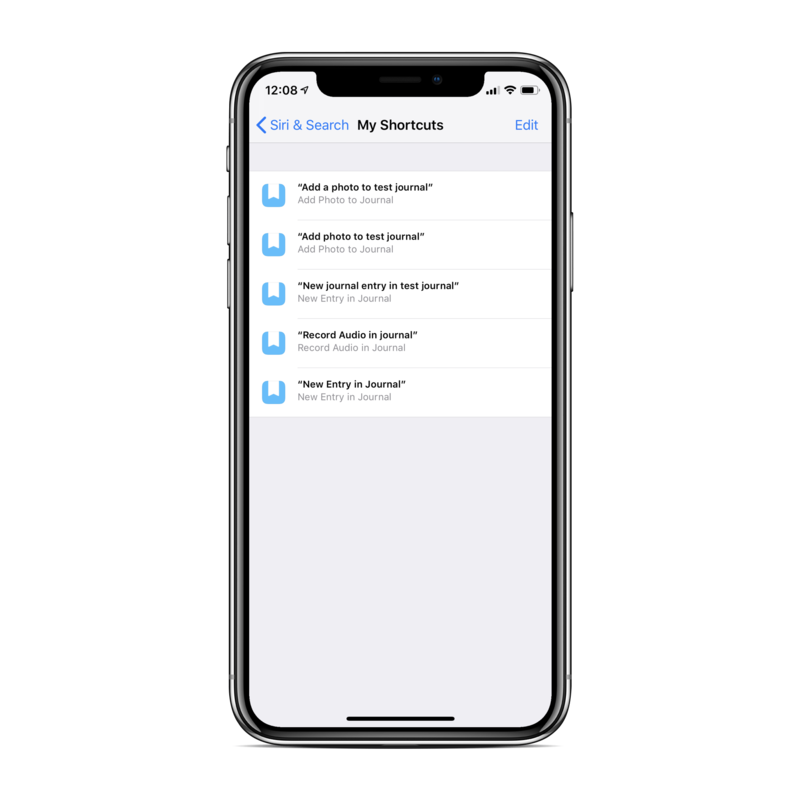 Shortcuts can also be managed in the device Settings > Siri & Search > My Shortcuts. There are also Suggestions for additional shortcuts. 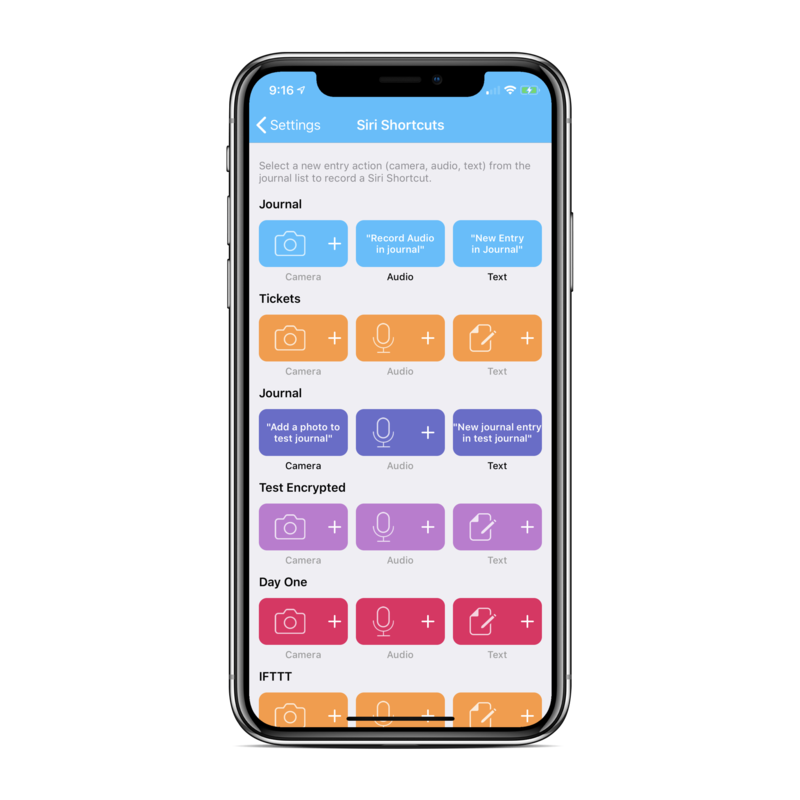 Now you can activate these shortcuts with "Hey Siri" or hold the Side Button on your iPhone.